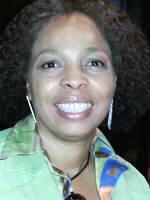 Ms. Rice has served as an Address Management Systems Analyst for the U.S. Postal Service for over 24 years. A longtime member of the Victory Apostolic Church, she has been active on the congregation's Board of Trustees since 1999; she currently holds the position of financial secretary and has also been occupied the activities coordinator position. She was also secretary of Wilmington's Head Start organization for four years. Always active in the community in many capacities, Ms. Rice has been involved as a Girl Scout leader, band and cheer mom, director of an adult and youth choir, volunteered as a children's mentor (K through 5th grades) for Project C.H.A.N.C.E. and, has been a foster parent. Mr. Smith currently serves on the Board of Directors for the Empowerment Resurrection Center, of Chester, PA, as Vice President, Corporate – Community Relations. Professionally, he is the President and Founder of Paige One Media and Public Relations Consulting, LLC, a full service media services and brand management firm. Prior to founding Paige One Media, Smith served as the Chief Information Officer for NAZCA Network, a company specializing in digital media development and distribution. ​In 1996, Mr. Smith founded IMPAC, “Involved Minority Professionals for the Advancement of Children”, a Delaware based organization focused on introducing career opportunities to youth identified as disadvantaged and “at risk”. Smith also served as a member of the Philadelphia Chamber of Commerce One to One mentoring program, and Executive Vice President and co-founder of the Detroit Michigan based Christians United in Business Endeavors, focusing on developing youth achievement programs and providing scholarships to youth through corporate sponsorships. R. Paige also served as a youth league basketball and baseball coach through the YMCA system, as well as through various other church organizations. R. Paige Smith was educated at Temple University in Philadelphia, Pennsylvania, where his leadership background is rooted through his Bachelor of Science, Management Information Technology and Journalism education. Mr. Clinton is an active member of the Unitarian Universality Church of Delaware County (UUCDC) where he currently serves as Board President. He was the founder and Director of the Organizational Development and Leadership Masters Program at Philadelphia College of Osteopathic Medicine. The ODL Masters program is committed to social justice and develops a student’s ability to lead organizational change. He is also a founding Board member (2007 – 2011) First Suburbs Project of Southeastern PA that sought to build power by organizing people and money in the four collar counties that surround Philadelphia across class, race, political and municipal boundaries. Mr. Clinton has a BS from University of Maryland, College Park and a Masters in Applied Behavioral Sciences from Bastyr University in Seattle, Washington. Rev. Dr. Dexter L. Davis Sr.
​was born and raised in the City of Chester, Pennsylvania. He attended the Chester Upland Public Schools and is a proud graduate of the Chester High School Class of 1973. He graduated from Millersville University with a Bachelor of Science Degree in Elementary Education and a minor in Sociology. Dr. Davis earned a Master’s degree in Public Administration from West Chester University and a Doctorate in School Administration from Widener University. Reverend Davis has also studied at TUMI (The Urban Ministry Institute). ​Rev. Davis is an active member of Mayor Thaddeus Kirkland’s Interfaith Citywide Initiative. He also serves on several boards that impact the lives of children and adults in Delaware County. Dr. Davis currently serves as an adviser to Mayor Kirkland and City Council on education-related matters. Mr. Knox graduated from Pennsylvania State University (UP), as well as, completed graduate work at the Reformed Presbyterian Theological Seminary in Pittsburgh, PA. Over the years he has served multiple positions such as Youth Pastor, Department Head, and Chaplain at the New Castle County Detention Center, Wilmington, DE. 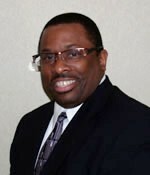 He is founder and Senior Pastor of Covenant Heritage Bible Church in Wilmington, DE. Reverend Knox continues to give back to the community through various outreach programs. As an experienced motivational speaker and personal/professional development coach, Reverend Knox has, on many occasions, mentored high school, college, and professional athletes. He’s currently a chaplain for the Pennsylvania State University football team. Malcolm J. Yates is the Executive Director to State Representative Brian Kirkland of the 159th District. The district includes Chester City, Chester Township, Parts of Ridley, Upland, Parkside, Trainer, Marcus Hook, and Lower Chichester. Malcolm holds seats with the Pennsylvania State Committee, the Pennsylvania Democratic Black Caucus, Chairman of the Southwest Delaware County Democratic Committee, Director of Social Action for Phi Beta Sigma Fraternity Inc., Del. County Chapter, and President of the Young Democrats of Delaware County. Malcolm started his collegiate academia at Norfolk State University majoring in Biology & Communication and finished with a B.S. in Business Management and Marketing. He also received his Masters of Science in Strategic Leadership from Neumann University. In the immediate future, Malcolm will be pursing his Doctorate in Public Policy.